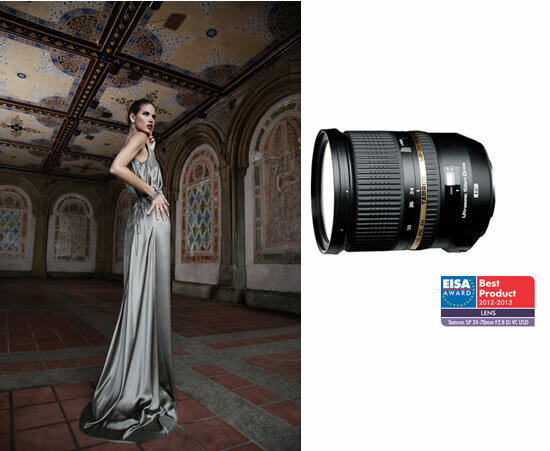 The European Imaging and Sound Association (EISA) has presented its European Lens 2012-2013 award to the Tamron SP 24-70mm F/2.8 Di VC USD (Model A007). This lens is the world’s first35mm full-size high-speed standard zoom lens equipped with VC (Vibration Compensation) image stabilization. The lens also incorporates Tamron’s USD (Ultrasonic Silent Drive) and has resolution at the top of its class. The European Imaging and Sound Association (EISA) presents awards each year to products judged to be the best in photographic, audiovisual, and video product categories. A panel of editors from over 50 leading imaging, sound, and electronic industry magazines in 19 European countries review and vote to determine the leading products on the market. This honor marks the 14th time a Tamron lens has won an EISA Award, the 7th consecutive year since 2006.